2015 survey data from Canstar Blue NZ shows 76% of Kiwis like to try new coffee flavours. 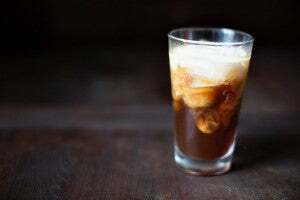 And 65% of New Zealanders we surveyed said they considered a home-brewed coffee a special treat, so if you would like to make the experience even more special, why not try an exotic new flavour? Sit back and come on a free journey around the world for a virtual taste test. If you’re interested in making some of these amazing brews at home, compare espresso machines on our website. What it is: Combination of egg yolk, condensed milk, sugar, butter, cheese, coffee. Where it lives: Hanoi, Vietnam. What it is: A cheese called juustoleipä gets cut into chunks and put in the bottom of a cup, then you pour the coffee on top. When the coffee’s all gone, you spoon out the leftover melted cheese. Result: If you like cheese, dig in! Creamy and delicious. Where it lives: Kaffeost and Kainuu, Finland. What it is: Canned coffee. Found in vending machines and available from corner shops. Result: Available cold in summer and hot in winter (in a can – amazing!). Convenient coffee all year round. What it is: Steep coffee grinds for 12 to 36 hours, then strain it and serve it cold. Prepare large batches and store in the fridge for several days. Result: Perfect for people with stomach problems because hot coffee can upset your stomach. Where it lives: Created in the 1600s in Kyoto, Japan. What it is: Blended spices including sesame, pepper and nutmeg, mixed with ground coffee beans. Result: Strong taste, smells incredible. Where it lives: Originated in Morocco, surprisingly. 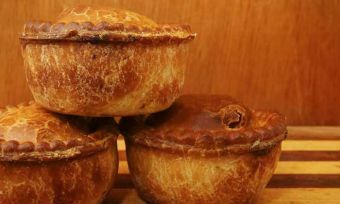 What it is: Traditionally prepared in a clay pot. The beans are brewed together with cinnamon and piloncillo (unrefined cane sugar). 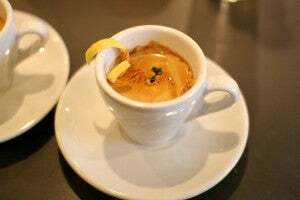 What it is: Espresso served with a slice of lemon rubbed around the rim of the cup, then plopped into the coffee or placed on the side of the saucer. What it is: Coffee with rum and whipped cream added. One legend about the origins of the name says that the drink was created for the christening of baby girl Johanna Theodora Katharina, on Nordstrand Island in 1872. The pastor was strictly against drinking alcohol, so for the occasion his congregation served this celebratory drink up as “coffee, just coffee”. He smelt the rum in it and cried out, “Ihr Pharisäer!” (You Pharisees! ), implying that his congregation had betrayed him. Result: A creamy treat for rum drinkers. What it is: A mixture of coffee and milky tea. Result: A convenient – and strong – bottled brew for a busy population on the go. Where it lives: Hong Kong. 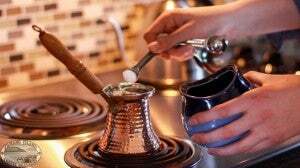 What it is: A pot-and-ladle set used to make Turkish coffee, a strong, thick brew. The pots are typically made of copper or brass and the ladle has a wooden handle. Add sugar to a very fine grind, bring the brew to a frothy boil, then set aside to cool. Repeat the boiling and cooling process twice. When poured, cups will have a frothy head. What it creates: The Turkish say coffee should be, “black as hell, strong as death, and sweet as love.” The sugar balances the strength of the brew. Where it lives: Popular in Greece, and the Middle East, especially Turkey where it was created. This method is still used today in culturally important ceremonies such as weddings. What it is: A simple filter made of cotton or muslin – not an actual sock. (Ewww….) Use coarse grinds to prevent the grinds slipping through the sock and creating mud. What it creates: A faint cottony taste that gradually becomes fruity as the sock becomes worn-in. Where it lives: Popular in Central and South America, used over a coffee pot on a wooden frame instead of a drip filter. Also commonly used in Thailand and Malaysia, where the sock looks like a butterfly net with a wire handle. There, they cover the rim of the pot with the sock so that the grinds are still immersed in the water. What it is: A metal sieve atop a cup filled half with boiling water and (in Vietnam, Cambodia and Laos) half with sweet condensed milk. The coffee slowly drips through the sieve into the water. If using condensed milk, the coffee is made even stronger because the sweetness allows it. Result: An amazingly sweet and strong kick-start to a day in South-East Asia. Where it lives: In Vietnam, individual cups of coffee are topped with their own metal sieve, like a metal hat. In India, a sieve is used for pots containing a family-sized amount. What it is: A stove-top pot with three chambers, usually made of aluminium or stainless steel. The bottom chamber is full of water, while the middle chamber contains the coffee. The top chamber simply collects your coffee for you as the steam pressure forces the water and coffee upwards. Result: Same flavour as an espresso machine brew, or slightly richer and less acidic. Where it lives: Popular in Italy, where it was designed in 1933, and in the rest of Europe. For more information about the origins of different tasting coffee beans, take a look at the Di Bella Coffee ‘Flavours of Origin’ map. Would you eat your coffee? What is “civet cat” coffee?